12 Top Tips for Transforming Aging into Joy | Home Health Care, Inc.
1. Do what you enjoy several times every day. When you immerse yourself in things you enjoy, you can’t wait to do them again. And then you do them again, and again and again, and the enjoyment continues. 2. Celebrate your victories—even the tiny ones. We all have accomplishments: acknowledge them. It will inspire new victories, improve your self image, happiness and contentment. 3. Stay curious. Find ways to learn—even if you just Google a topic. Exercise your brain and it will stay active and energized. 4. Make your home your special place by personalizing it and making it comfortable and uniquely yours, Everyone needs a haven that gives them joy and stimulates happy memories. 5. Be gentle with yourself. Listen to your own inner voice. Do and ask others to help you do and enjoy what makes you feel best. 6. Share kindness and appreciation with others—it is one of the best feelings in the world. Express interest in how they are doing. The way you treat others comes back to you. 7. Each morning before you get out of bed express gratitude for 3 things. It will help you start the day with a positive attitude and often, you’ll think of a lot more than 3 things! 8. Find ways to giggle instead being upset.Little things can really bring you down if you let them. But you don’t have to let them. We can’t control all the things that happen in life but we can control how we respond. 9. Write. Write a letter. Write an email. Write a poem. Write a journal. Writing helps you think, express who you are, and generate new ideas. 10. Walk and do gentle exercises. Get advice on exercises that are best for you. You’ll be amazed at how good if feels when you maintain mobility and get your endorphins going. 11. Surround yourself with people who lift you up rather than bring you down. Whether it is over the phone, in person, in email or even on Facebook, wrap yourself with joy. 12. When you need supportive services, partner with Home Health Care, Inc to empower you to enjoy life on your terms. It’s important to have the help you need to live and thrive in an environment you desire. We can help you or your loved ones derive the most out of their daily time and health. 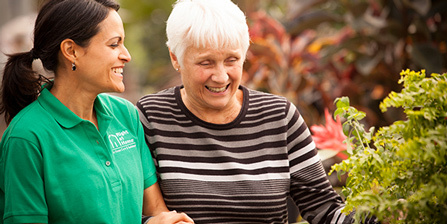 Whether your family member requires assistance with activities of daily living, post-operative care or even respite or hospice care, our visiting nurse services are available 24/7 anywhere in Sonoma, Lake and Northern Napa counties, California. Call us at 707-538-0679 to discuss how we can help.